As her real name was Kirston Svanholm, I’m guessing she was Danish or Swedish. Was she a model? Very likely. Was she a singer? Apparently so. Was she in Eurocult films? Most certainly. Beyond that, however, the woman is a mystery. Oh, apart from the fact that she shares her name with a popular lighting fixture from the swinging sixties! Most of her roles were tiny and often uncredited. Her first part seems to have been as ‘Girl in Shower’ in Alessandro Blasetti’s Io, io, io… e gli altri (65), but after that she started popping up all over the place. She has a tiny part as one of the nubile female assassins in Deadlier than the Male, and appeared in other Eurospy films like The Big Blackout (Perry Grant, agente di ferro, 66) and Nazi SS (Borman, 66). One of her more prominent performances at this time – in terms of press coverage at any rate – was in Franco Prosperi’s The Professional Killer (Tecnica di un omicidio, 66), which garnered a considerable amount of attention in publications like the UK Continental Film Review (which featured several pictures of Ms. Swan and her co-star, Franco Nero). 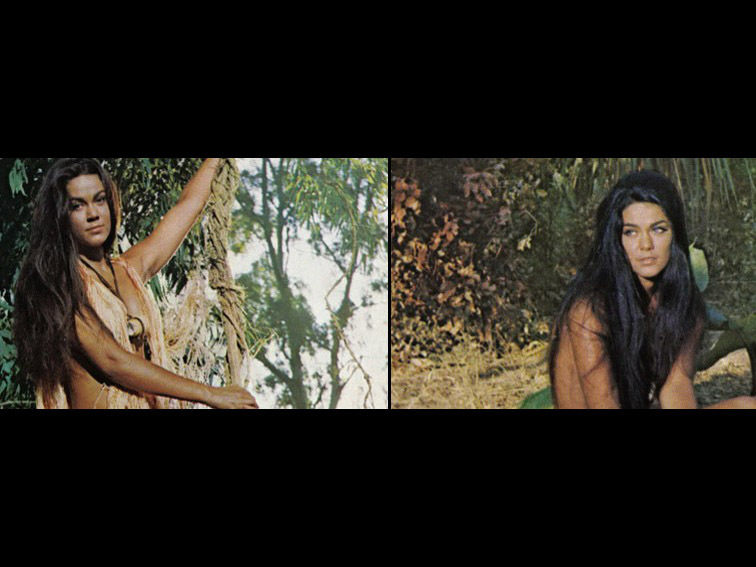 In 1968, she played the title role in Ruggero Deodata’s Gungala la pantera nuda, one of the first of the rather peculiar ‘Jungle Girl’ films that were briefly popular at the time. Carrying on in the same vein, she was the female lead in a couple of Manuel Cano films, King of the Jungle (Tarzán en la gruta del oro, 70) and Tarzan and the Treasure of the Emerald Cave (Tarzán y el arco iris, 72). The shooting of the former, in Florida, was marred by an accident in which Kitty and her co-star Steve Hawkes were badly burned – they were tied to wooden stakes when some gasoline soaked leaves caught fire – causing them to spend some months in hospital receiving skin grafts. Unfortunately, these turned out to be her last performances on film or television, and there’s no information at all on her post-cinema career. If anybody knows anything more about the elusive Ms. Svanholm, please let us know! She was Danish. Cheers -K.Ö. Thanks for the info chaps! I wonder if she’s still around? The man who treated her burns was Jovan Saljic. He treated the burns with some herbs and he did amazing job on her face. Would love to know more about her but there isn`t much to go on. Yes, late Jovan Saljic did miracles with burns on her body. He brought many people with severe burns back to life. He used to be my neighbour. Would love to know about post-accident Kitty Swan. concerning actress Kitty swan. all has been said about her – and that’s not much. but, there is 1 movie missing from the internet movie database. 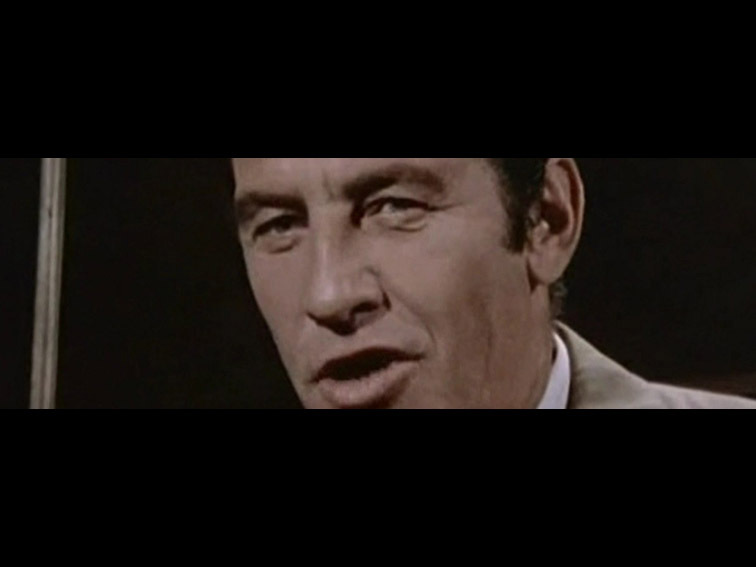 the movie is from 1966 and called in italian “COME SVALIGIAMMO LA BANCA D’ITALIA” it’s a caper comedy with the italian comic duo franco franchi and cicchio ingrassia in the title role. she had a small role as “brunette girl at nightclub”. (source WIKIPEDIA). best, rudy from Belgium.